Meghan Clair Crownhart is a senior at Salpointe Catholic High School. She is a member of the Salpointe Robotics Club and the Assisteens of Tucson. Soccer and volleyball were both played through middle school but her first love has always been dance. Meghan’s grandparents were both raised in Sligo Ireland and Meghan asked to begin Irish Dance while she was in kindergarten. Meghan began competing in first grade and reached the level of Open Champion in 2012. She has competed on the Regional, National and World Level. Liam Boyd is a junior at Catalina Foothills High School. 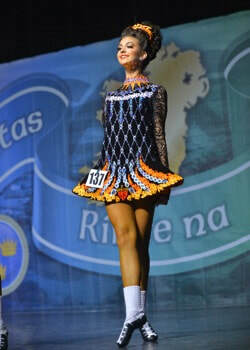 He is an open champion Irish Dancer and is currently ranked 17th in the world in his age group. He has danced since the age of 4 and has performed widely in the U.S. as well as Ireland, Canada, Great Britain, Scotland, Switzerland, Germany, Austria, and Australia. Liam has also been a member of the Tucson Arizona Boys Chorus since second grade and currently sings in their young mens ensemble. He has had many amazing experiences including the opportunity to perform as a soloist with the Tucson Symphony Orchestra, the Arizona Opera, the Tempe Arizona Wind Symphony, the University of Arizona Wind Ensemble and Choirs, Catalina United Methodist Choir, and the Arizona Choral Society. He hopes to one day perform on Broadway. Both Meghan and Liam have danced for over thirteen years for the Celtic Step Academy of Dance under teachers Christopher McGrory, ADCRG and Rosemary Browne, MD, TCRG. Founded in 1939, the Tucson Arizona Boys Chorus is celebrating its 80th Anniversary. With over 100 boys between the ages of 6 and 20, it has earned the reputation as a premiere music education and performance organization. Throughintensivetraining, the choristers’ educational experience includes an enriched study of choral music that imparts musical, social and leadership skills building self-esteem with a sustaining impact. The Chorus has garnered accolades through performances on five continents and over 25 countries with highlight performances at the White House, Lincoln Center, Kennedy Center, the Beijing Institute of Culture, Russian Glinka Cappella, Sydney Opera House, Seoul Arts Center, The Great Wall of China, St. Peter’s Basilica and the Tabernacle in Salt Lake City with the Mormon Tabernacle Choir. It continues its pursuit of the highest artistic quality, citizenship and serving as Tucson’s Singing Ambassadors. Director of the Tucson Arizona Boys Chorus since 1980, Julian Ackerley has achieved acclaim as an accomplished conductor and administrator of choral organizations. Dr. Ackerley served as the National Boychoir Repertoire and Standards Chair for the American Choral Directors Association and is a specialist in working with boys’ emerging voices. His chapter “Oh Brother! Success with Boy Singers” is published in Voices in Harmony, Youth Choir Leadership, Education, and Artistry. He was selected Choral Director of the Year by the ACDA Arizona Chapter. Dr. Ackerley is an experienced teacher and received his doctor of musical arts degree from the University of Arizona with emphasis in music education, vocal performance and choral conducting. 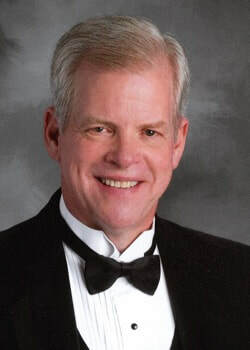 He has been a guest conductor and clinician for numerous choral festivals and All-State and through the years his choirs have received numerous prestigious invitations to appear in regional, national and international conferences and festivals. There is a limited amount of seating at DeMeester which fills up quickly. Please bring folding chairs or a blanket. The Parks and Recreation Department runs shuttles from 5 PM to 10 PM from Randolph Golf Course Parking Lot located at 600 S. Alvernon Way.